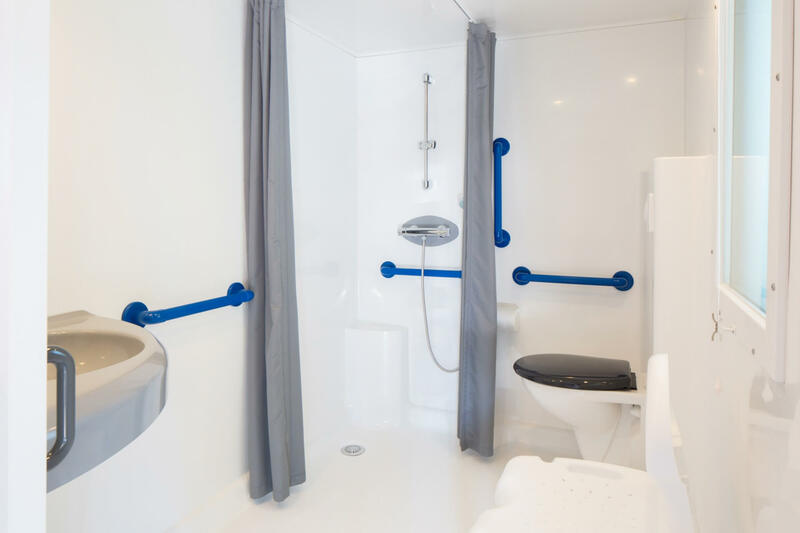 Mobile home only dedicated to people with reduced mobility ! 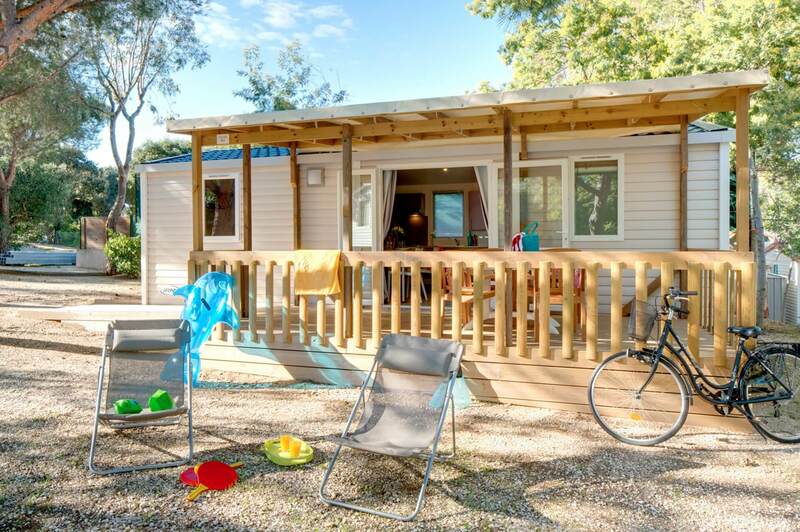 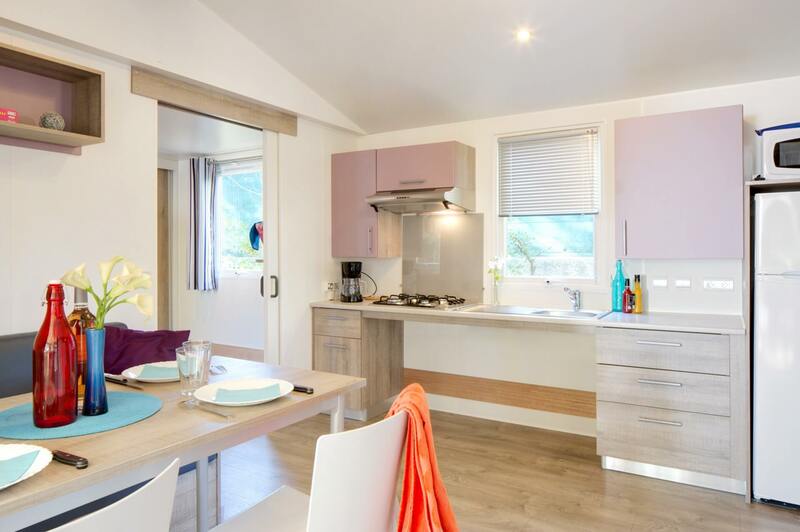 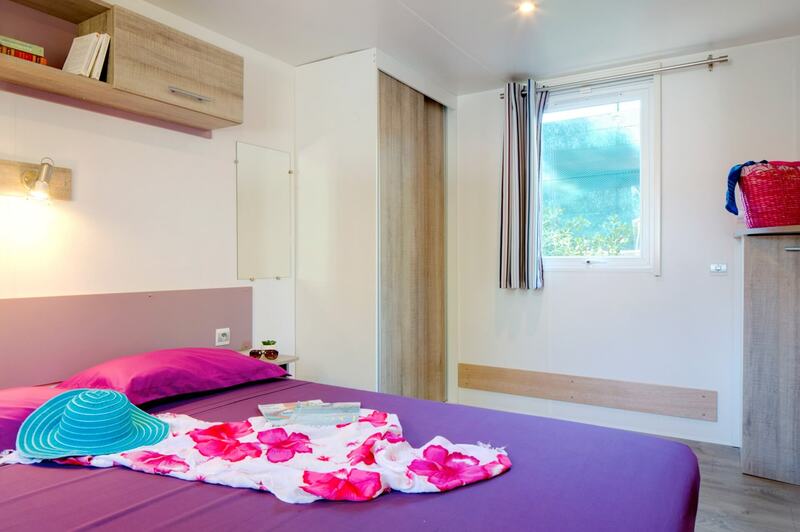 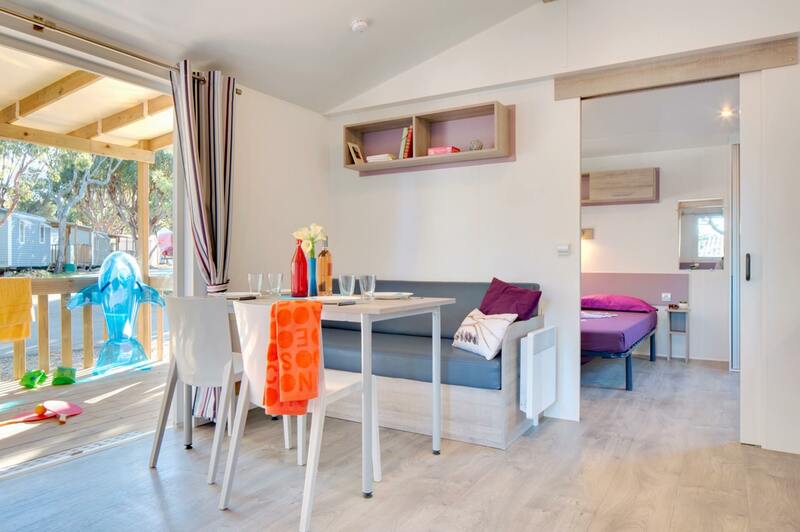 The HELIOS mobile home (sleeps 4) has a lovely covered terrace with two sun loungers, two separate bedrooms, a fully equipped kitchen, a shower room suitable for people with reduced mobility with shower and toilet, a television and parking for your vehicle. 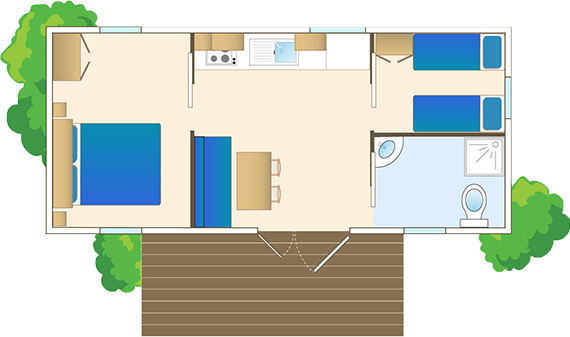 NB: Exclusively dedicated to people with reduced mobility and accompanying persons.